CEED 2019 Application Forms is available on its official website www.ceed.iitb.ac.in. The Online registration starts from October 09, 2018. Last date to apply with normal fee is November 14, 2018. In case a candidate misses out on registering, IIT Bombay gives them a second chance to register with late fee of Rs 500 until November 16, 2018. Candidates are required to fill in the application form in time so that they do not miss the chances of getting admission in the 2019 batch. 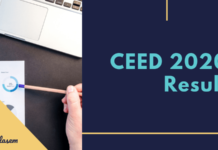 The institutes taking admissions have the right to discard the CEED 2019 Application form at any stage if it is found that any information provided by the candidate is incorrect or the registration is incomplete. till Tuesday, November 20, 2018. 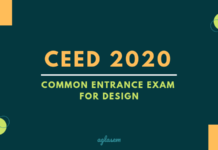 To apply for CEED 2019, candidates must register themselves as the registration forms are out. Candidates can only register online which mean there is no way of offline registration. All the applicants are advised to read the brochure first before starting the process of Online Registration and filling up of the application form. Any kind of error in the registration form might lead to the cancellation of the candidature. Given below is the schedule for the CEED application form 2019. Apply Online: Click Here to register for CEED 2019. The registration fee for all women candidates is Rs. 1,300. The registration fee for all the SC / ST / PwD candidates is Rs. 1,300. And Rs. 2,600 is the registration fee for all other candidates. Scanned copy of the signature (.jpg file). Scanned copy of the degree / diploma certificate (.pdf file) if the course is completed. If the candidates do not have the final degree certificate, please upload the copy of the final year mark list or the provisional certificate. (.pdf file). Valid category certificates for SC / ST / OBC-NCL candidates have to produce (.pdf file). Valid medical certificates for person with physical disability (PwD)(.pdf file). Dyslexic candidates are required to additionally obtain a certificate from the Principal / Head of the College / Institution(.pdf file). In order to apply for CEED 2019 candidates must register themselves online once they are notified that the registration process has started. Candidates are required to log in to the official website www.ceed.iitb.ac.in and click the “Registration”. Candidates must fill in their email id in the given space and create a login by entering a desired password. Once this login is created on the official website this becomes the access account for the candidate till the candidate gets admission in the institute. Hence, it is advised that candidates shall keep their login details protected so that they don’t lock themselves out of the student access. The photograph to be uploaded should be candidates recent color photograph in .jpg format, and the signature shall too be the scanned copy in .jpg file format. Candidates those who have completed their degree shall upload the scanned copy of their degree / diploma certificate in .pdf file format. 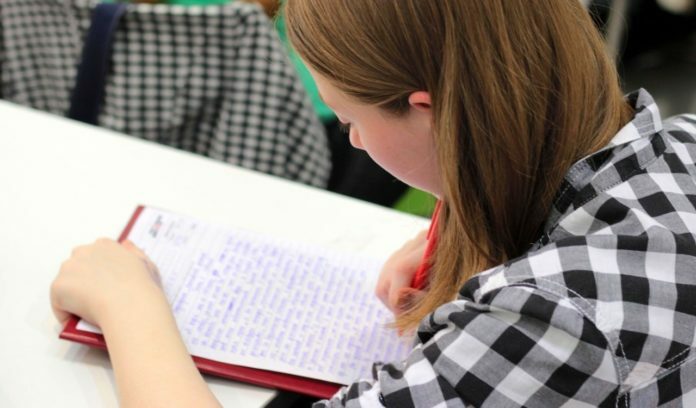 And the candidates who do not have their final degrees still awaited shall upload the copy of the final year mark list or the provisional certificate. The candidates who are still in the last year of their course, a certificate in.pdf file format (which will be provided in the official brochure) from the Principal of the college / Head of the department shall be uploaded. Candidates who are applying in the SC / ST / OBC-NCL category have to produce valid category certificates in .pdf file issued by appropriate authorities. OBC-NCL certificates issued ONLY from April 1, 2018 onwards are accepted. Candidates who are applying in person with physical disability (PwD) category should produce a valid medical certificate in .pdf file issued by the appropriate authority. Dyslexic candidates are required to additionally obtain a certificate from the Principal / Head of the College / Institution. Candidates whose name is not same as the name on the degree / diploma certificate should produce a gazette notification, a marriage certificate or scanned pages of the passport showing the change of name .pdf file format. All the certificates before uploading shall be cross checked in the appendix section given in the official brochure. 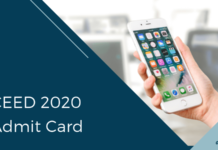 The registration fee has to be paid through the payment option provided on the website while submitting the registration form. All the required documents above are to be uploaded as electronic files during the online registration, hard copies of these documents or any other documents will not be entertained. Candidates are requested to provide the correct information regarding the qualifying exam and category, and upload the correct documents in the required formats in the registration form. Registration forms incomplete in any respect will be summarily rejected and the registration will be considered invalid.